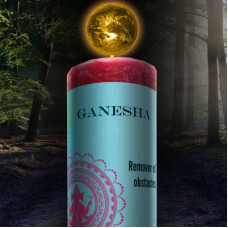 World Magic Candles teach us that there is one world and it is smaller than we think. When we let go of the labels, judgments and fears we realize that everyone in the world wants the same things; security, family, and purpose. Cultures around the world achieve this in similar ways, the only difference being the names used. Each human is reliant upon the next to take care of their own piece of the world; environmentally, spiritually, emotionally and mentally. In the words of Gandhi, if we become change we wish see in the world, we become the heroes on our life. Coventrys small batch candles are handcrafted with intent and care for our own piece of the world and yours. 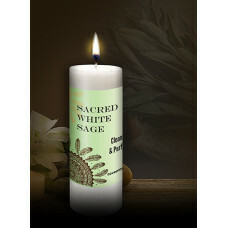 Remove all packaging and place in fire safe candle holder before lighting. Never leave a burning candle unattended. A vibrant pink candle with a sweet date, tangerine and bergamot scent. 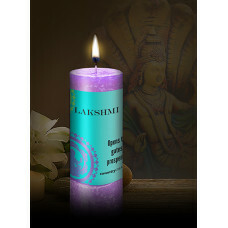 2.5 x 6.5 pillar burns for 80..
A magenta candle with a heady sandalwood and jasmine blend. 2.5 x 6.5 pillar burns for 80 hours. 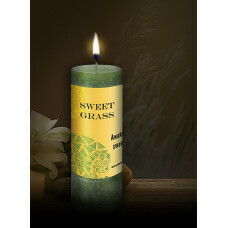 La..
A seafoam green candle with a sweet grass blend. 2.5 x 6.5 pillar burns for 80 hours. Awakening the..